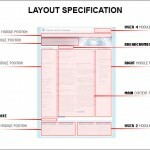 You are currently browsing the Free Templates Blog blog archives for August, 2008. Recognition for our best 4images template! The Photography Shot 4images theme has been recognized as one of the best themes lately by the 4images Gallery team. Take a preview tour through the layout features and functionalities supported by the Colourful World Joomla 1.5 template. Even more professional Joomla Multi-Colour template will be released soon.